Wintertime for some businesses can be a slower time, and for some people it might be a welcome break and a time for some much-needed rest. But that doesn’t have to be the case for your PDR business if you don’t want it to. As we begin to wrap up 2017 and transition into 2018, there is no reason to slow down on the red-hot sales and growth that you have worked so hard for all year. In this post we are going to cover some ways to keep the sales fires burning all the way through the cold months. Tip#1. Offer a Seasonal Promotion– If you can bear it, a discount on your services that you can promote on your website, on social media, and anywhere else that you promote your services, might be just the thing to keep revenues up when the days are shorter and darker. Even though cars in many parts of the country are covered in road salt and grime, door dings still happen, cars still slip on ice and receive minor damage. 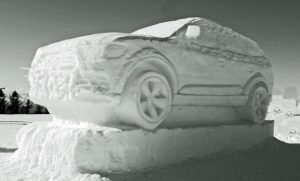 A good promotion with a little bit of clever marketing might be just the thing you need to keep it going during the winter. The tip here is to make it short, and tap in to psychology of your consumer. People do not want to miss out on a good deal, and you should leverage that in your messaging. Tip #2. Consider a Subscription Plan. Where there was one dent, there will be others. There are a couple of ways to go about this. The first will be to offer this subscription plan to families with multiple cars (consider them like a mini-fleet). Instead of fixing the one dent on the one car for a smaller price, why not offer to fix all the dents in the family for a larger set price that is a one-time fee and covers the family fleet for a year. It is a bit of a gamble certainly, but the odds are probably in your favor that there are not many other dents to fix in that year span. The other option would be to offer this subscription plan to a smaller mom and pop dealerships where the volume is a bit lower but you are not getting their work currently. You could come up with a monthly fee for unlimited ding repairs (and set your own limits or parameters as to how much this offer covers). The benefit to the dealership is a predictable flat rate for dent repair without having to worry about estimating the costs at auction time. The benefit to you is steady work from a source you didn’t have before, and a guaranteed amount of revenue each month. Tip #3 Hold a Seminar. What if you could teach your customers how to estimate a PDR dent so that they can do the math quickly while evaluating vehicles at auction? This might be a great way to get your foot in the door at a dealership. You could also offer the same seminar to local auto body shops that might need a refresher on what can be fixed with PDR and how it could mean the difference between a repair job and a total in some cases. If you are looking to grow your business by adding technicians, a seminar is a good way to scout some new talent. Consider holding one at a local tech school as well. Tip #4 Form Strategic Alliances. When the winter months are slow, this is a great time to get out and network again. 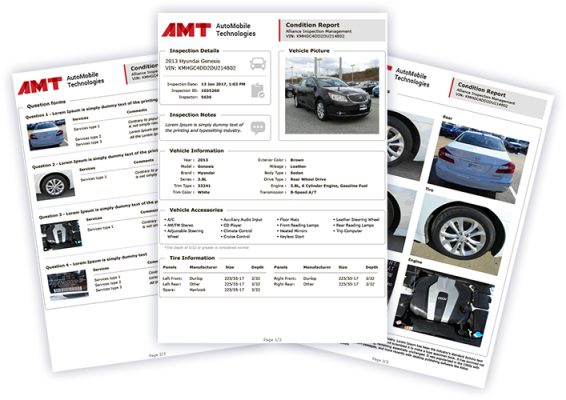 In addition to offering to perform PDR for auto body shops, why not discuss a referral program where you can offer your customers discounts at an auto body shop for service needs that you spot in the field. For example if you are fixing a dent on a customers car and you see some paint damage that could be buffed out or fixed easily, why not offer a discount at your “partner” shop. Auto detailers would be another great source of two-way referrals. Using the same example above you could refer minor paint correction work to your partner detailers and likewise they could refer dent work to you. How to sweeten the deal? Offer a finder’s fee often referred to as a “bird dog”. A cash incentive helps drum up business without fail. Tip #5. Ask for Reviews from Satisfied Customers. It is easy to forget to ask for reviews, but you need them. Any service business needs revues and the more the better especially for your Google marketing strategy. If you have happy customers who rave about your service when they drive out of your shop, encourage them to leave positive feedback on Yelp, Angie’s List and other review sites. Go back through your customer database and send out a quick email asking for the review with a link to you Google my business page to make things easier. Another pro tip is to be sure and thank them on the review for their kind words. Google actually wants to see that you are reacting to your reviews both good and bad. So there you have it. Five quick strategies to fire up some hot sales in the cold months and set yourself up for a very profitable new year!